"God Created Every Creature "
Litho measures approximately 12.25" x 17.5". 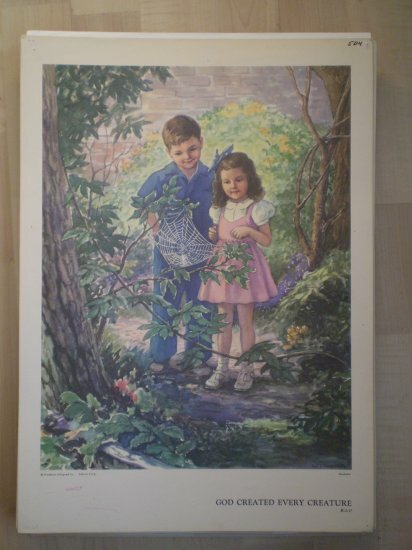 This litho was displayed on the wall in a church classroom. It has a number written on the upper right corner, corner rubs, pin marks, some soiling on white border area, writing on the back side, and is lightly age tanned.